Xwa-lack-tun was born and raised in Squamish. His mother is originally from Squamish and Alert Bay (Coast Salish, Kwakiutl) while his father was Coast Salish (Squamish). 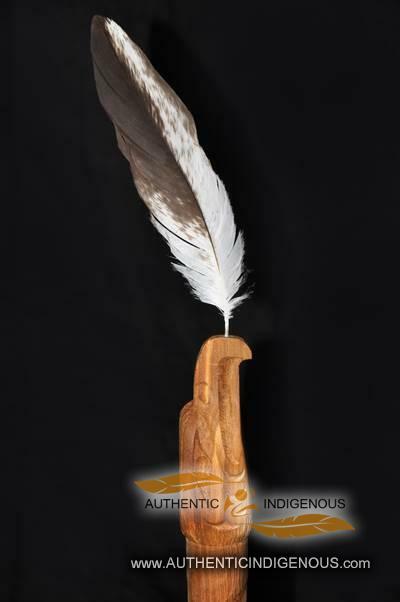 Xwa-lack-tun was given his indigenous name by his father, Pekultn, who was a hereditary chief, originally from the Seymour Creek area. 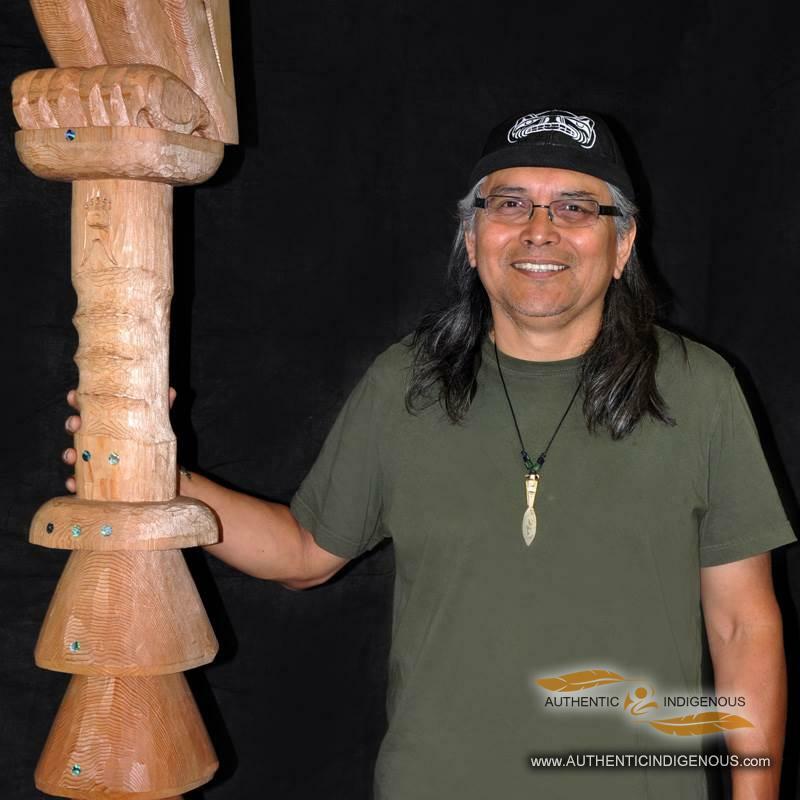 This artist gained his skills and education from Emily Carr College of Art and Capilano College, but also feels he learned a lot through trial and error. Xwa-lack-tun (Born Rick Harry) is an artist whose works are recognized internationally. 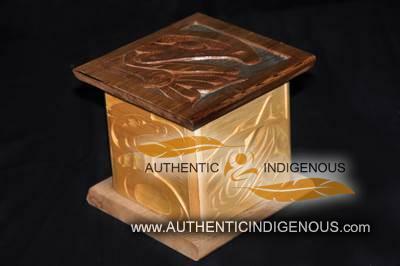 In 2005 he received an honorable award from the North Vancouver Arts Council which acknowledged his contributions both locally and world-wide. A multi-million dollar home in Whistler featuring Xwa-lack-tun’s four carved house posts received a 2002 Gold Georgie Award for Best Custom Builder in BC and Best Single Family Detached Home 3500 Square Feet And Over. We also know him for the numerous and continuing work he has done with a large number of schools. Xwa-lack-tun’s works are seen throughout Vancouver and the surrounding areas. A widely recognized piece is a set of double doors made from yellow cedar, both sides fully carved, for BC Hydro’s main building in Vancouver and Burnaby. Harrison Hot Springs Resort commissioned Xwa-lack-tun to complete an original set of doors placed at the entrance of its spa. A 41.5 foot red cedar pole was completed for a new gallery in New Hampshire, USA. The North Vancouver Arts Council contracted Xwa-lack-tun to do a print of a historic site for the new millenium. He is one out of twelve artists involved in this project. In the year 2001 he was invited to Scotland to promote the country’s totem pole project and had returned in 2002, 2003 and 2005 to travel Scotland demonstrating his unique carving techniques. 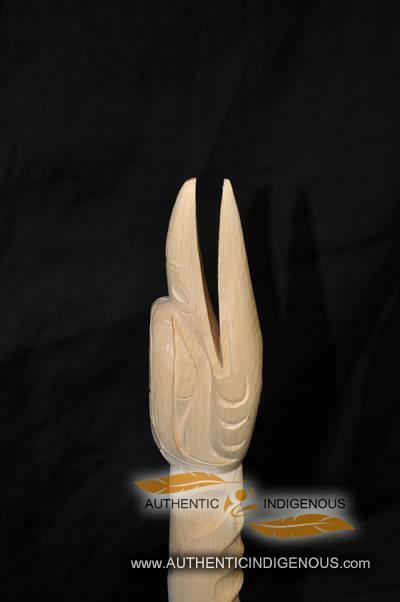 Xwa-lack-tun will be going back to carve more Totem Poles in 2010. Xwa-lack-tun worked on designs for the 2010 Vancouver/Whistler Winter Olympic Bid. Design work included initial icon development and laser etched designs created especially for the 2010 Bid Box. Many major works have been completed other than what is listed and could be viewed in Xwa-lack-tun’s personal portfolios.